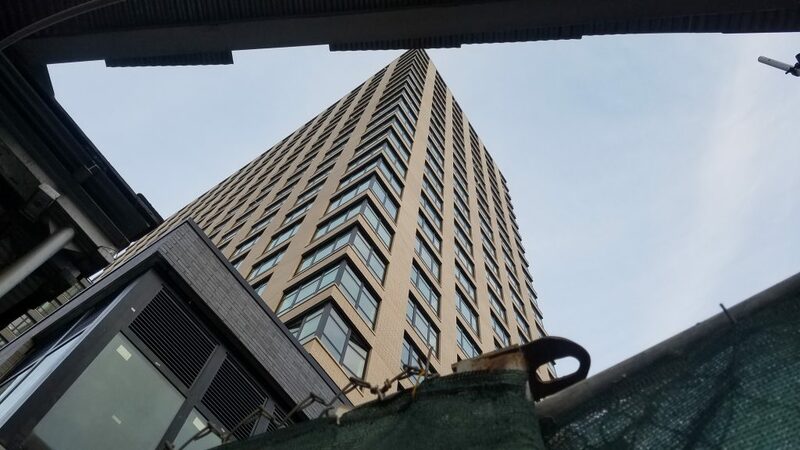 210 Livingston Street, an affordable housing/market rate project, should have views of 141 Livingston Street, otherwise known as Brooklyn Housing Court. Yes, dreams do come true in Brooklyn, and so does affordable housing. The proof is in the pudding, located just outside the A/C/G Hoyt Schermerhorn stop. Out of a total of 375 total units, the 25 story project will contain 74 “affordable” units. The remainder are expected to be residential condos. As an interesting twist, the regulatory agreement filed in ACRIS states the owner receives a LIHTC (Low Income Housing Tax Credit) and a 421-a tax benefit. The same units can be applied to both tax programs to meet eligibitily requirements. This practice has been criticized as double dipping taxpayer dollars. 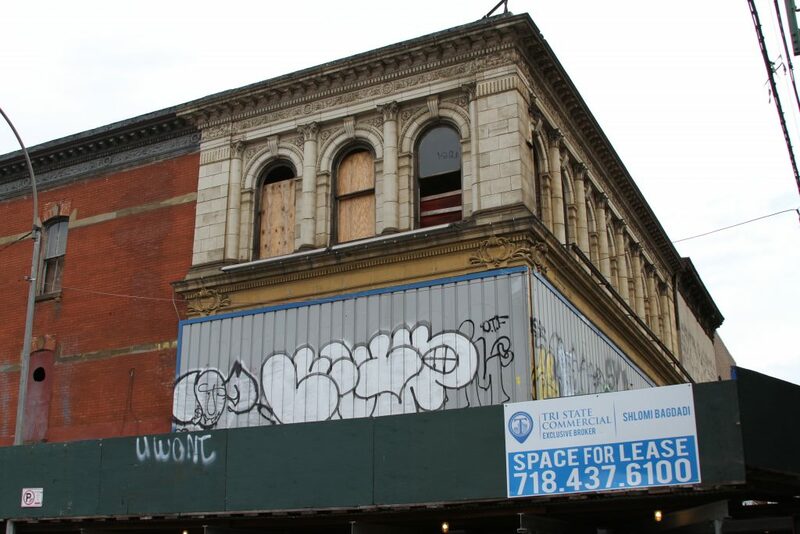 Bushwick: 177 Wilson Avenue’s full vacate order still in effect. It’s easy to walk around Bushwick and appreciate all the street art along Jefferson Street, the breweries, and dining options. All of these new amenities come at a price, and often the price is incidental and hidden. Perhaps it’s even unintentional. 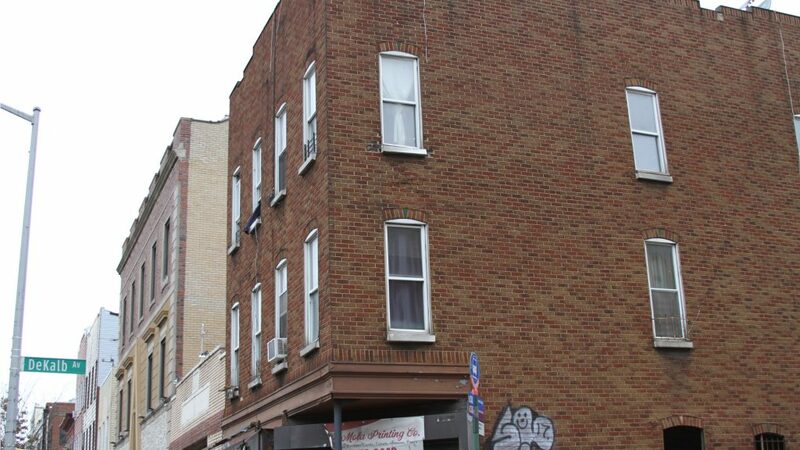 Let’s take a look at 177 Wilson Ave, aka 1399 Dekalb Ave (make note of the 1399). This unfortunate piece of property was once home to DiMola Printing Co. As of this writing, the building sits empty, the result of recently issued DOB (Department of Buildings) stop work and vacate orders. Corner of Park Street and Broadway. Look at that stonework. 845 Broadway is a property in southwest Bushwick, just east of Flushing Avenue, that has seen better days. The roof looks like Swiss cheese, the windows are boarded up, and the facade is wrapped in metal. But there’s something architecturally remarkable that still lurks behind all the years of neglect. The old pre-war facade still remains in salvageable condition. Just a bit of TLC could get this property looking like new, or at least something close to it. 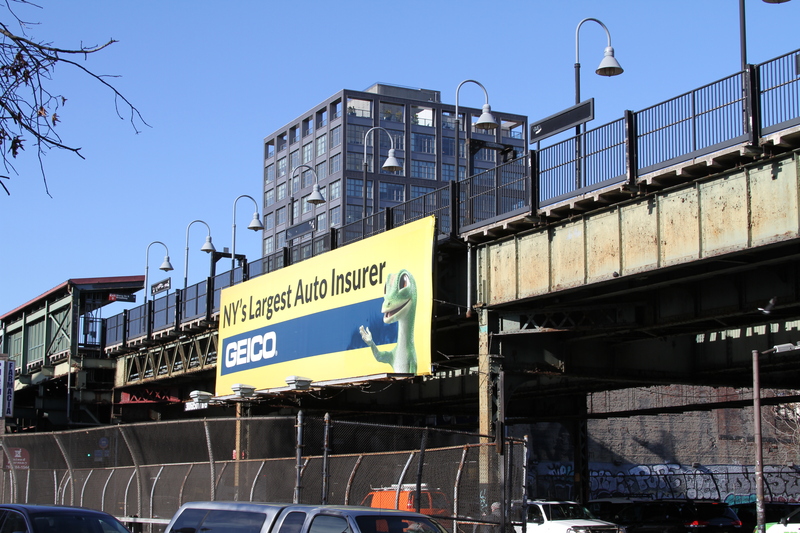 RentCement traveled through Bushwick to document the intense real estate boom and its implications on gentrification. The trip today started at the Flushing Avenue station on the J line, where I visited several construction sites. My travels took me mostly along the southwestern border of Bushwick. 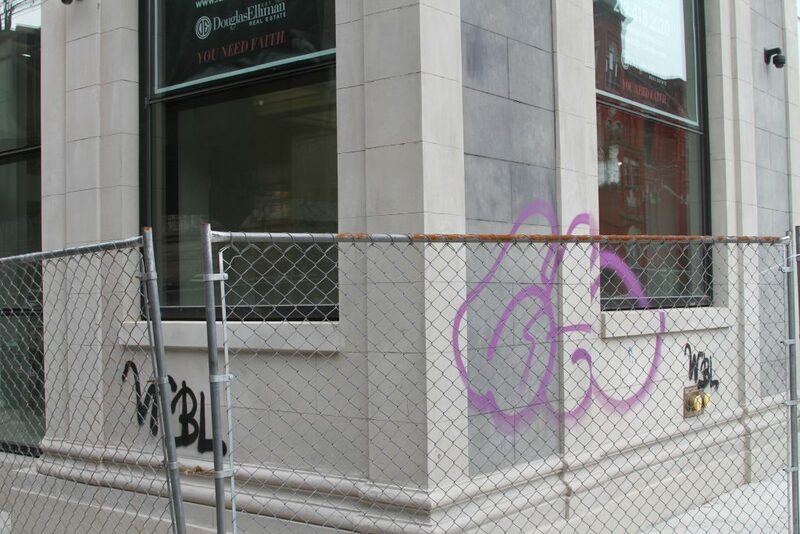 The first site I visited wasn’t a residential building at all, but 815 Broadway, a commercial building that just completed renovations – and a bit of tagging.